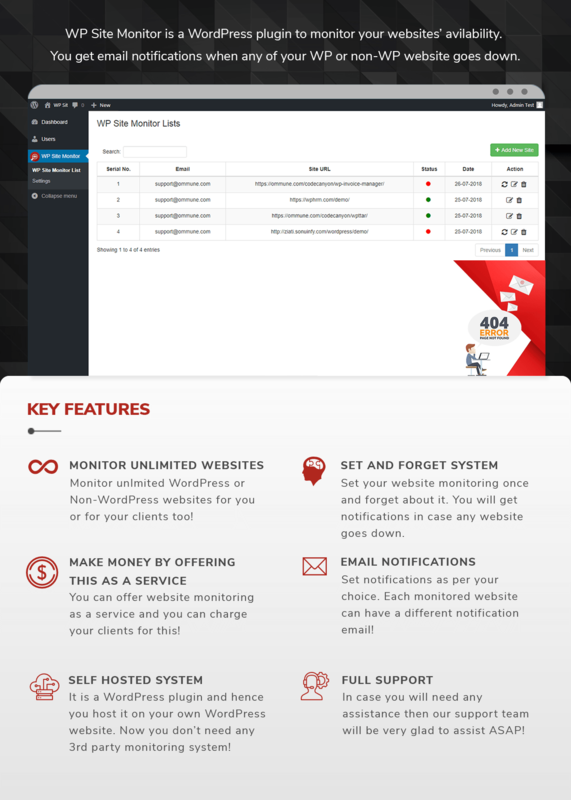 WP Site Monitor is a WordPress plugin for checking your websites’ availability. Whenever any of your website (WordPress or non-WordPress) goes down, you get an email notification! Very simple yet very powerful WordPress plugin to track the status of all of your websites.